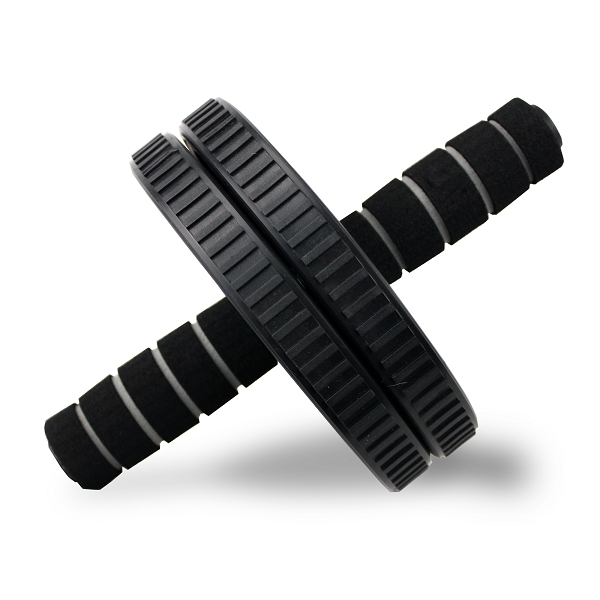 This lightweight exercise wheel is great for toning and working core muscles. Double thick for added stability. To use, fold the legs at the knees and cross the legs at the feet while pushing and pulling your upper body forward and backwards, balancing your weight on the wheel. For a greater challenge, don’t allow the knees to touch the ground and balance on the wheel in plank position. The handle grips are padded with soft foam. Plastic composition makes it durable and portable. We recommend using a yoga mat folded in half to take pressure off the knees.